Arts stream has variety of subjects to choose from. Students opting Arts as their main subject in 11th or 12th class in any board like CBSE or Bihar Board have a very broad career aspect in future. Clear Concept coaching in Boring Road Patna has set a proud and memorable history in teaching arts from the last 25 years in guidance of Sri Shyamakant Jha sir who himself is a famous journalist and editor of India famed news magazine “Lok Prasang”. Since 1994 our coaching has nurtured thousands of talents who have got great success in their life. Clear Concept Arts coaching in Patna is an institution run by a group of eminent academician, technocrats, renowned school teachers and competition oriented youths who have devoted their lives in careful plantation and growth of little minds who are in class XI or XII here in Patna Bihar. 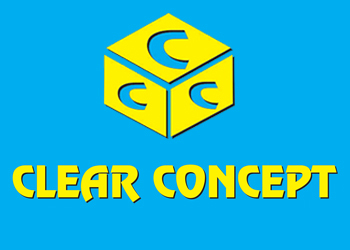 At Clear Concept coaching in Sri Krishna Puri, Boring Road, Patna – we impart 100 percent result oriented quality classroom guidance by expert and devoted faculties for CBSE Board, Bihar Board, ICSE Board of class VIII, IX, X, XI and XII and for all streams like Arts, science and Commerce. You can see the performance of our efforts not in some exam results. The real performance of our institute can be seen in our alumni meet where our alumni students describe their career growth in life and about their success in life. They recommend this coaching to their near and dear ones whose children are in middle or higher classes in Patna, Bihar. To know more about admission, classes, course structure or fee, you can contact our institution at 9304563047, 9431158311 or Visit us at 102, Sri Krishna Puri Post office building, Nort East corner of Children Park in Boring Road, Patna.